– 11/27/1966 Interview with Stanley Kubrick (1:16:31) is an audio interview conducted by Jeremy Bernstein that plays to a still image of the Starchild gazing on his new toy (Earth). – 2001: The Making of a Myth (43:08) is an interesting retrospective with a number of talking heads discussing the impact of the film. – Standing on the Shoulders of Kubrick: The Legacy of 2001 (21:25) features folks like Steven Spielberg and George Lucas discussing what the film has meant to them and the art of cinema generally. – Vision of a Future Passed: The Prophecy of 2001 (21:31) looks at some of the things that seemed fanciful in 1968 which don't seem quite as much anymore. 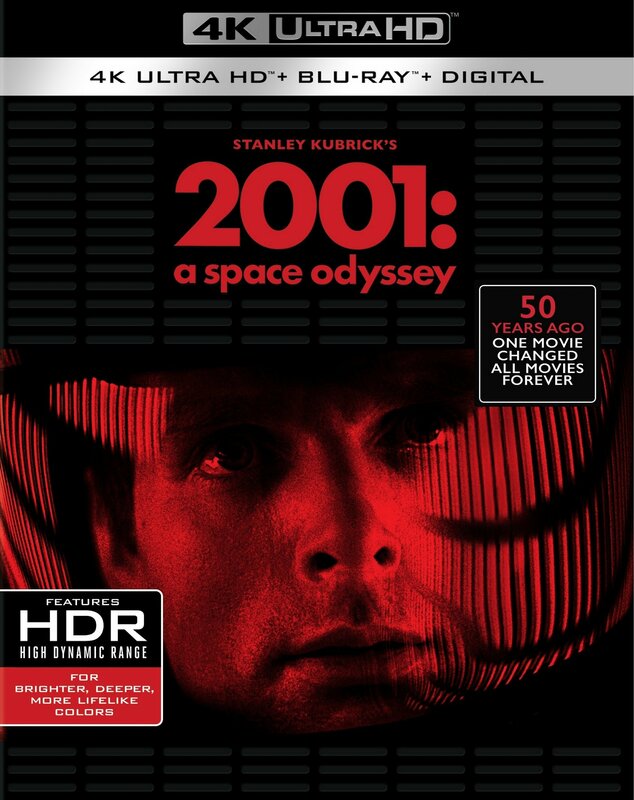 – 2001: A Space Odyssey: A Look Behind the Future (23:11) is a longer form archival piece that includes production data and interviews and is kind of charmingly old school. – What Is Out There? (20:42) is an interesting piece which seems to suggest that (if I may conflate famous quotes by both Fox Mulder and Colonel Nathan R. Jessup) we can't handle the truth out there. – 2001: FX and Conceptual Artwork (9:33) features some interesting comments from Douglas Trumbull. – Look: Stanley Kubrick! (3:15) is a brief piece focusing on Kubrick's work as a magazine photographer. 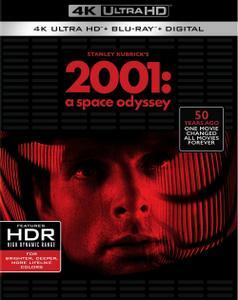 Notes: 2001: A Space Odyssey features two DTS-HD Master Audio 5.1 tracks, one listed as restored and remixed (which the accompanying press sheet identifies as having been "completed in 1999 (for the previous DVD and Blu-ray releases)" and a new 5.1 repurposing of the original theatrical 6 track audio.